I am getting a new kitchen! I am really excited but at the same time, its annoying to not be able to use it during the renovation. 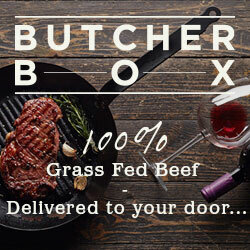 I am lucky that we have a large trailer with a kitchen that I can use in the mean-time, but its definitely not the same! To make this cocktail for our little photo shoot, I had to dig through boxes to find every little thing. Im not gonna lie, it was frustrating! 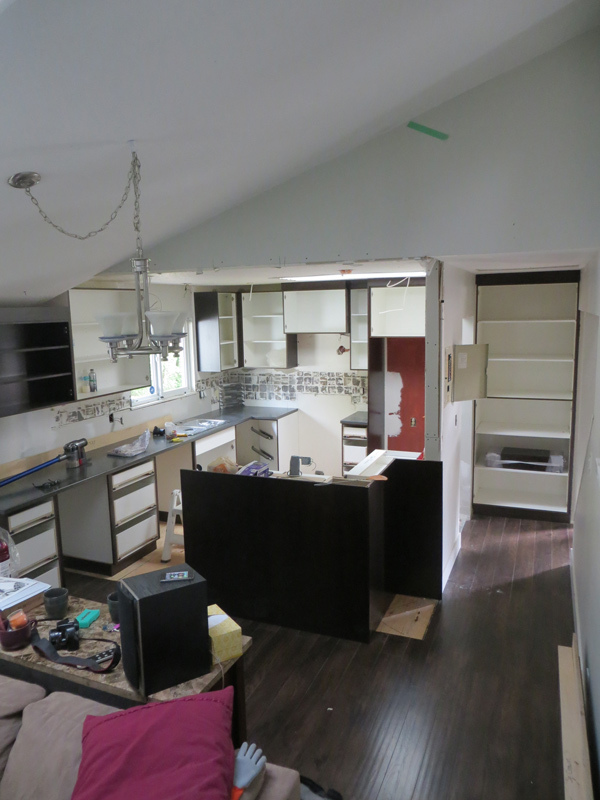 Especially since Kevin, Jess and I have lived through a year of slowly renovating our house so the reno-patience is wearing thin. I also realized today that all of my kitchen stuff has a layer of dust on it, so now, not only is my house chaotic, but I will have to wash every single thing before it gets its new home. Yay me! This is my chaotic kitchen. Mid renovation. Ill post an after picture in the next couple weeks. By the time I managed to find everything I needed to make this martini, I sure needed one! 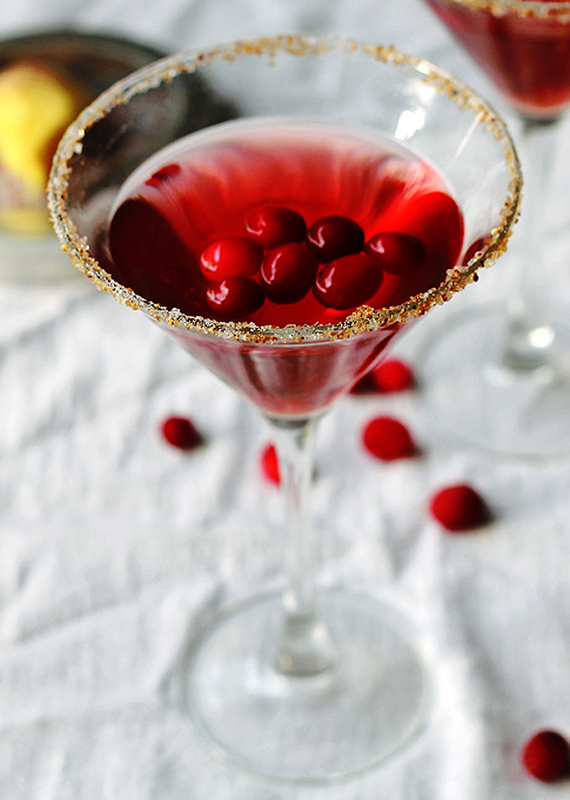 Cranberries are a fruit that usually makes people think of the fall. 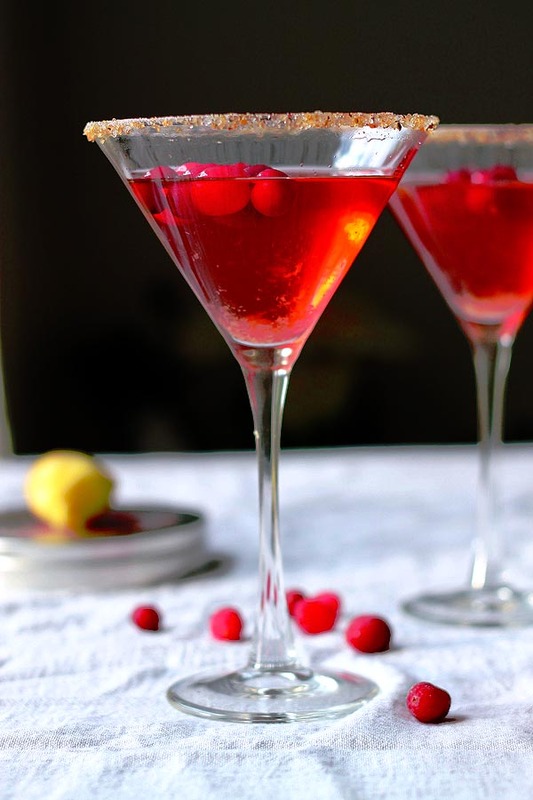 However, Debbie and I drink these Cranberry Ginger Martinis all year round and the addition of Ginger makes this drink taste really fresh so they are perfect for summer too. They are also really simple and that makes these our go-to drink. 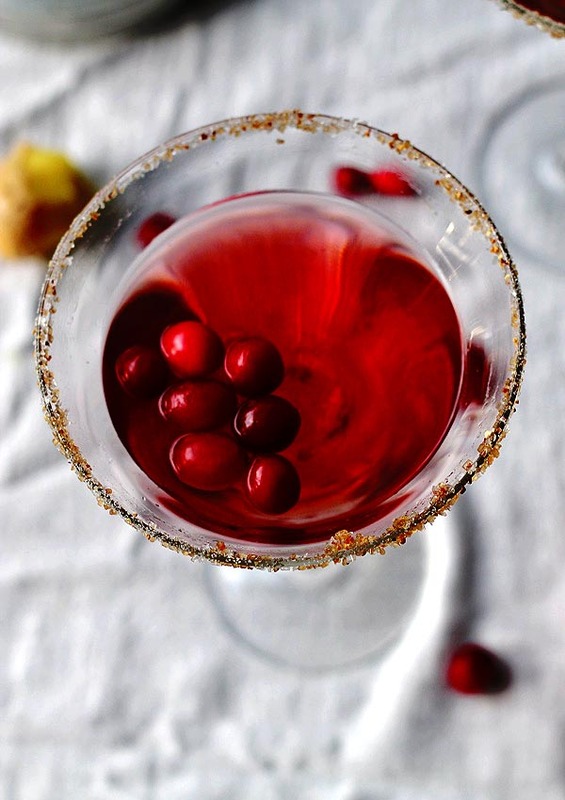 Debbie cant even drink a Cranberry Martini without ginger anymore. She says if she could, she would carry it around in her purse for emergencies. Emergencies like being in a restaurant and the cranberry martini not coming with freshly grated ginger. Ya, REAL emergencies like that. Oh man, Im laughing out loud right now because I am picturing her pulling out her little travel rasp and a knob of fresh ginger and grating it in under the table! Its not that far-fetched. She likes her ginger that much! Now, because I like to know what nutritional benefits foods have and because I like to tell you, here are some good little nuggets of knowledge about Ginger for you. It works to settle the stomach. There is a reason for drinking ginger ale when your tummy isn’t feeling good (as long as it has real ginger in it). And this can really give pregnant women safe and natural relief from nausea during pregnancy. 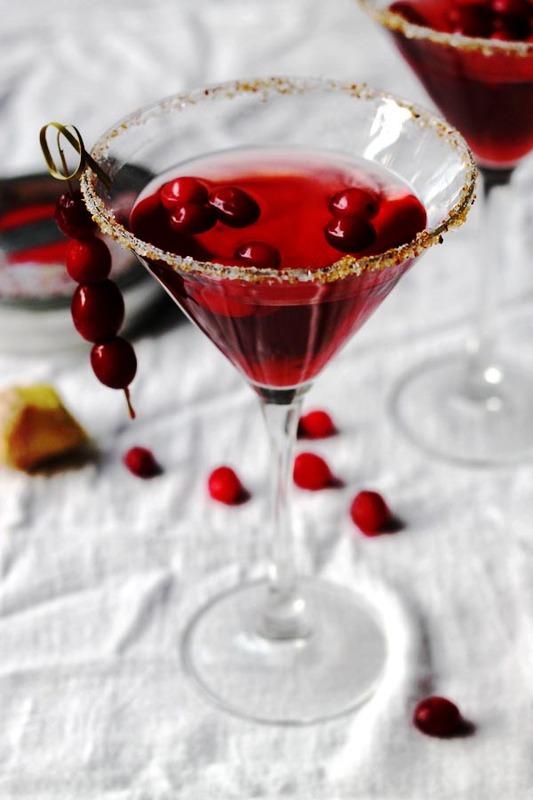 Cranberries are full of antioxidants that protect our bodies from oxidative stress. Oxidative stress is what causes aging. Its like rusting from the inside out. So this is important! You didnt think you were going to get a nutrition lecture with a drink recipe did you? Debbie and I are getting together at her place this weekend to do some bloggy things and hopefully drink these in the pool! Do a sun dance for us, its not looking promising right now. What are you sipping on this weekend? Get out a martini glass and shaker. Run the lime wedge around the edge of you glass (of dip the edge of the glass in lime juice) and then dip the glass in the glass rimmer. 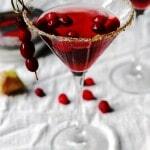 Add some ice to the martini shaker and pour in the vodka and the cranberry juice. Pour into the glass and grate the fresh ginger right into the glass. 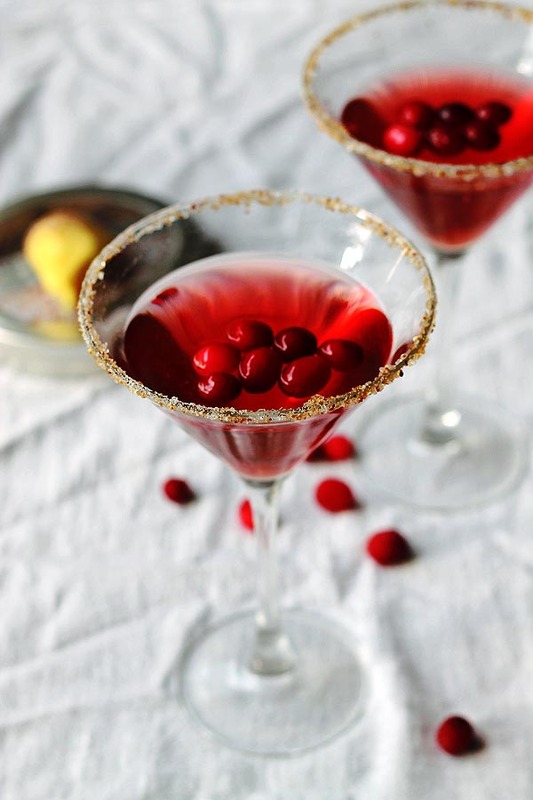 Give it a little stir, top with the frozen cranberries and enjoy.